The Comenity Bank settled a class action lawsuit in 2014 over allegations it violated the Telephone Consumer Protection Act (TCPA). The Comenity Bank's TCPA class action lawsuit involved more than 4 million people who received automated calls from the bank to their cellphones. The Comenity Bank Settlement was approved for about $8.5 million. Send your Comenity Bank TCPA Violations claim to a lawyer who will review your claim at NO COST or obligation. The Comenity Bank, a debt collection company and owner of a large number of store credit cards, has been accused on multiple occasions of making continuous unwanted phone calls. Consumers have filed, and settled, Nuisance Caller lawsuits against Comenity Bank and other companies such as Wells Fargo Bank. The lawsuits claim harassment by repeated and annoying phone calls or “robocalls”, text messages, or faxes without their consent, and in violation of the Telephone Consumer Protection Act (TCPA). According to the Federal Communications Commission (FCC), robocalls and telemarketing calls are the most consumer complaints. The FCC requires private robocallers to have prior consent to robocall or robotext your cell phone—unless you are the federal government. 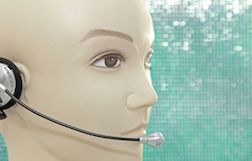 In 2015 a Supreme Court ruling stated that federal government entities (private companies working on the government’s behalf) conducting official business are not subject to robocall limits unless Congress says otherwise. The Comenity Bank settlement in 2014 of approximately $8.5 million (of which about $2 million of the will pay attorney's fees) meant that each class member would receive from 98 cents to more than $32, depending upon how many people submitted claims. Class members had to have received the automated calls from Comenity Bank from August 2010 through May 26, 2014. Each class member, however, could only claim one call per cellphone number. Plaintiff Carrie Couser filed the TCPA Comenity Class Action Lawsuit in October 2012, alleging Comenity Bank called her cellphone at least four times per day using an autodialer. The debt collector was demanding that Couser pay an outstanding debt owed by her deceased mother. In her lawsuit, Couser said she didn’t know anything about the debt, nor did she ever provide her cellphone number or any personal information to Comenity. The case is Carrie Couser et al. v. Comenity Bank et al., case number 3:12-cv-02484, in the U.S. District Court for the Southern District of California. In August 2016, another TCPA complaint was filed against Comenity Bank by John and Trina Walker. The lawsuit claims that the debt collector violated the TCPA harassment statutes and intentionally inflicted emotional stress on the couple. The couple claim they have been “annoyed, inconvenienced, bothered, upset and harassed” after Comenity allegedly continued to phone their home number despite requests to stop calling, and “engaged in oppressive and abusive conduct in attempting to collect a debt,” according to the West Virginia Record. U.S. District Court for the Southern District of West Virginia Case number 2:16-cv-08286. In September 2016, Amber Peralta filed a complaint against Comenity claiming violation of the TCPA and the Rosenthal Fair Debt Collection Practices Act. Peralta claims that she was contacted by Comenity’s automatic telephone dialing system more than 764 times in four months between 2015 and 2016, despite her requests to stop the calls. She has requested a trial by jury, $500 in statutory damages, $1,500 in treble damages, all legal fees and interests and any court costs. The Case is filed in U.S. District Court for the Central District of California, Eastern Division Case number 5:16-cv-02023-TJH-KK. Attorneys are currently investigating Comenity bank complaints. If you have been receiving unsolicited, automated phone calls from this debt collection company or any other entity that may have violated the Telephone Consumer Protection Act, you should consider seeking legal help. I've had credit cards through Comenity Bank from 2015--until now--I receive calls daily and making arrangements for payment.I just want the calls too stop! During my work shift,I have answered informing them that I will call them when I get a break and they continue to call immediately after ...They call trying to sound as if they know me,by not asking for me by my full name but just saying my first name not asking if they can speak to Jane Doe...when i say hello I get silence until I say hello 3-4 times...I have had one of them ask if I can borrow my payment from a family member....when clearly I let them know I’m in a financial bind and will make payment arrangements at my earliest convenience...they are extremely unprofessional...they called me one day from 7:59am to 8pm 46 times on a day that I forgot to turn my ringer off at work so my phone rang in the office in my locker off and on 45 plus times in an 8 hour work shift...Today while I answered they were calling me while I was speaking to another operator ...They are interrupting my sleep,calling me so much that family members let me know that sometimes when they call me my phone is busy or their calls go directly to voicemail because of these calls,I have voicemails from over 8 different foreign operators who can barely read a script,with a bunch of people talking in the background...I let them know that with all the fraud going on in which I was almost a victim of fraud that I will dial Comenity Banks number personally and set up payment arrangements and that I will not give my banking info over the phone ..and they still called me within seconds after hanging up with them ...So I decided maybe I just need to contact a lawyer because they are extremely rude and unprofessional. I have an account with them. I am past due and trying to work out a way to repay. Despite the fact that I have instructed them never to call me at work, a Ms. Alexander called me and threatened me at my work. She was extremely nasty, abusive and threatening, demanding answers to her questions. When I informed her that she was calling me at my work number and they have been specifically instructed to not do so, she said so since you have a job what is your excuse. She lied and claimed that she had no idea that they were not to call me at work, and also that there is no indication of that on my account. I told her in no uncertain terms to never call me at work again and she refused to acknowledge it, threatening me. I later called their customer service number and was told there clearly is a notation on the account to never call me at work and has been for at least 5 months. I will be filing a complaint and seeking legal action against her personally and comenity. I understand it has to be paid, but deliberate attempts to humiliate me at work or get me fired are illegal. Comenity bsnk, capital one and credit one banks keep calling continuously since 1/17. I'm in debt due to abilify and I have an attorney handling that case. Thank you! Comenity Bank in November. Today after may more calls 12/13/16, Comenity Bank left a message for a person which is not of this household but a relative. person in question which again is not our household member. Thanks. I would like to stop their calls..